When in Manila, one of the best gifts you can give to your kids is a show they’ll never forget. The captivating story of a puppet, wishing upon a star to become a real boy, marks Ballet Manila’s holiday treat. 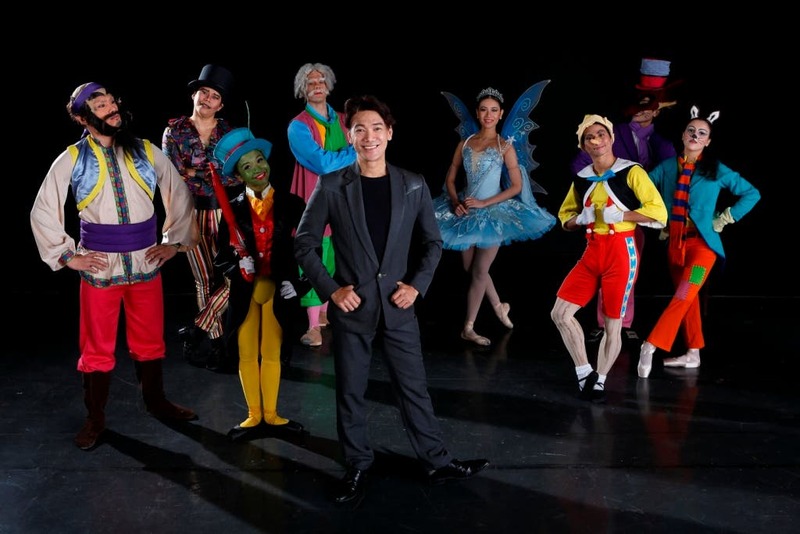 Osias Barroso’s “Pinocchio” is the third offering in “From Page to Stage,” Ballet Manila’s 20th performance season. Based on the Italian children’s novel by Carlo Collodi, it was the second animated film produced by Disney in 1940, following the success of “Snow White and the Seven Dwarfs”. Ballet Manila’s “Pinocchio” is choreographed by Co-Artistic Director Osias Barroso. Initially a one-act piece, it was always included in the company’s line-up of shows. With its timeless appeal, this year the audience will enjoy “Pinocchio’ as a full length production, signifying Ballet Manila’s Christmas treat to its loyal patrons. Pinocchio will be played by danseur Alvin Santos, one of Ballet Manila’s most senior company members. Alvin started out as a company scholar and is a product of the School of Ballet Manila. Alvin has played the lead since the very first staging of “‘Pinocchio” in 2002. He returns this season, to once again dance the part of ‘Pinocchio”, a role he will never get tired of doing. To further enhance the magical journey, Fil-Am singer Tippi dos Santos will be the show’s storyteller. This season’s performance will be a delightful mix of heart warming music in playful narrative movements. Celebrate the holidays with Pinocchio, Geppeto and Jimminy Cricket in Osias Barroso’s “Pinocchio,. Shows are on November 27, 28 and December 5 at 8:00 p.m.; November 29 and December 6 at 3:00 p.m, at Aliw Theater in Pasay City. Tickets are available at all Ticketworld outlets, online at www.ticketworld.com.ph, or call 891 9999.